It’s getting very often for me to hear “How can I install a custom brush in Photoshop?” lately. So, I`ve decided to write a basic guide to help people on installing their custom/downloaded brushes. Where to find 3rd party photoshop brushes? The simple answer is Google it! 😉 there are hundreds of sites out there which offer free photoshop brushes. They even categorize the brush types for your convenience. Personally, I`ve got really nice experience with http://www.brusheezy.com/ in downloading brushes. Moreover, its free! How to install the downloaded brush? Well, its pretty simple! The people who know how to install fonts on to their computers, they know how easy the process is. Because, the process is exactly the same! Right, once you have downloaded the brush from internet (they often comes in compressed format such as *.rar), uncompress the file and you should have a Photoshop compatible file with an extension *.abr (adobe brush’s short form). Remember, the above shown path is the default location where we install Photoshop often. If your Photoshop was installed in some other location, you need to find the Adobe folder and navigate to the Brushes folder. Awrite, pasting the .abr file itself will not invoke the brush inside Photoshop. 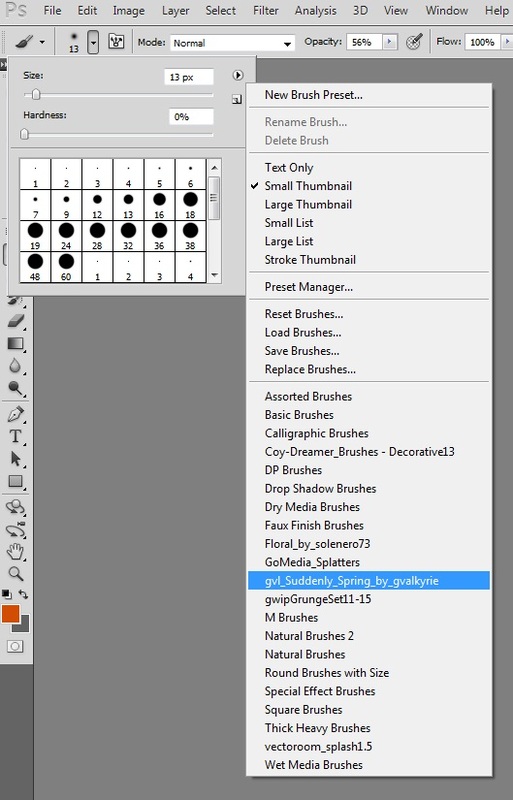 You need to load it into the current brush palette to use it. Its very easy indeed. Note : If the photoshop was open when you installed the brush, you need to restart the Photoshop inorder to see the newly installed brush in the list.